Nuts are one of my favorite snacks. There are only a few things that I crave when I am insatiable (despite eating enough) or in a mood where I want something crunchy and satisfying. 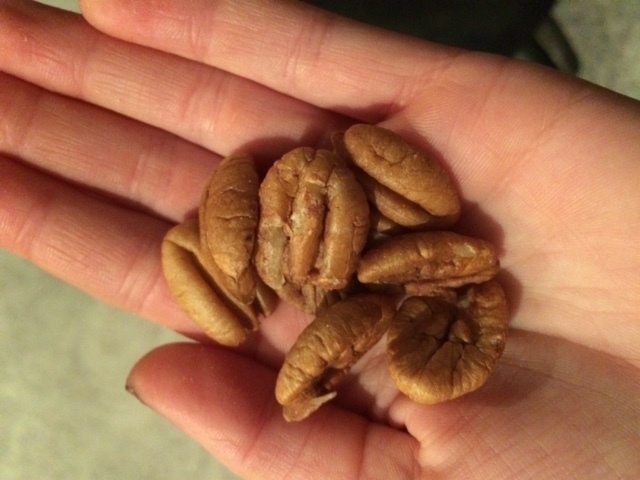 I LOVE the sweetened (honey roasted…) versions of nuts, and typically I go for roasted or salted. 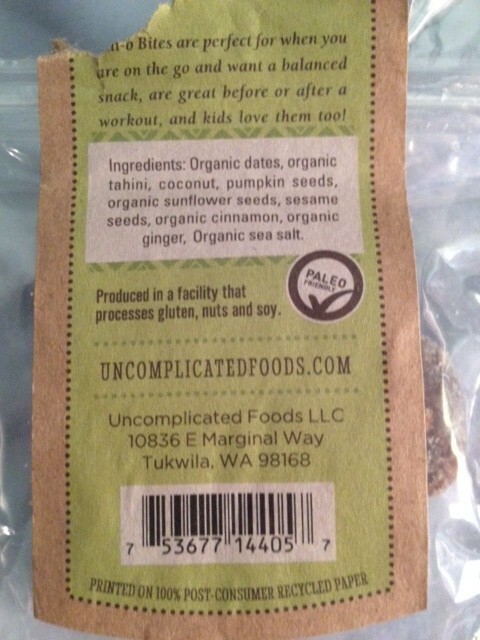 Love Our Nuts has some gluten free, raw, whole and natural nuts. You can get 2 lbs for only 13.99 which I think is a STEAL seeing as these small cans of nuts at the store is 6-7$. 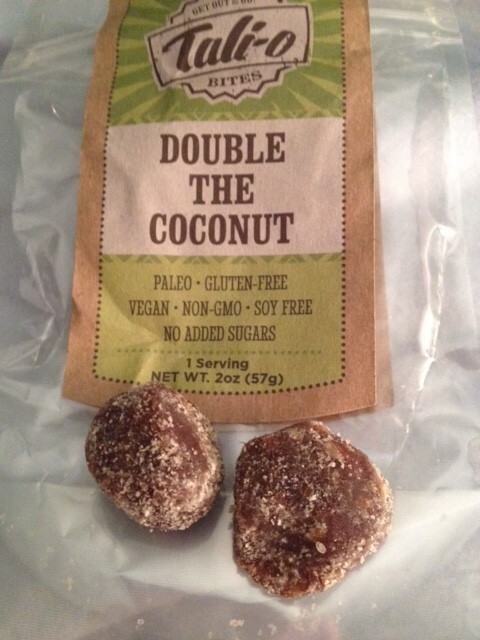 If you aren’t a fan of raw, you can totally roast and flavor these yourselves! They are a hard and crunchy nut, fresh, and bursting with flavor. There is no salt, and they are not roasted. 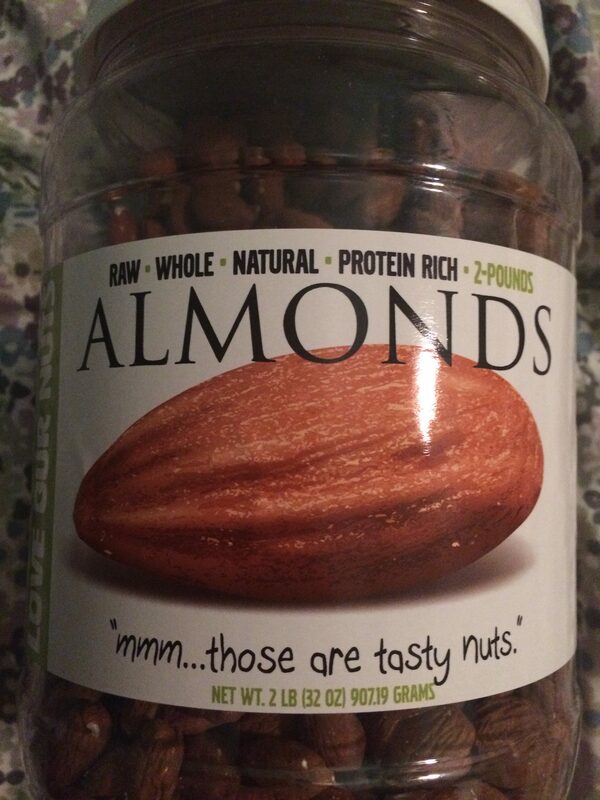 Typically, I prefer roasted/salted nuts, but I cannot lie, these are yummy! I tend to prefer roasted because the raw almonds are usually “soft”, and I like a crunchy nut in order to be satisfied. However, these were really good! They are smaller than most almonds I have seen, the shell of the almond doesn’t fall/flake off, and you don’t miss the salt. They almost have some type of SUPER mild “vanilla” type flavor, which must be the natural almond flavors shining through. I like them. I got a box of goodies from the fantabulous (yes thats a word) Vitamin Shoppe! 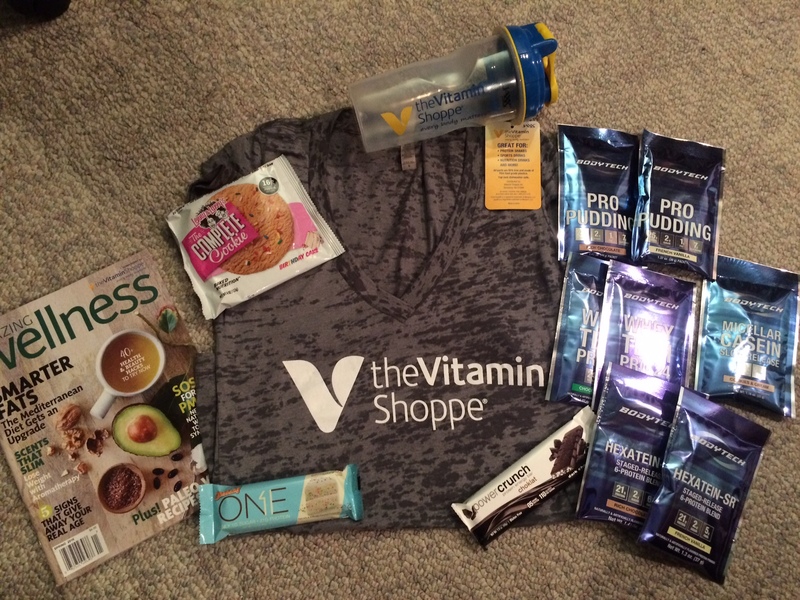 I was sent an assortment of protein powders, a shaker cup, a shirt, protein bar, protein chocolate, and a protein cookie! Perfect gift box for the avid weight lifter like myself. So let’s get started! First up, let’s get to the protein powders. Bodytech Whey Tech, Micellar Casein, Hexatein, and PRO PUDDING samples. Note: all proteins (except pudding) were mixed with unsweetened almond milk. Bodytech Whey Tech is a quick absorbed protein and good for post workout. I got these in Strawberry and Chocolate Mint. They both mixed relatively easy. The Strawberry flavor was not a favorite of mine. It tasted and smelled overly fake, and had a funky strawberry flavor. Reminded me of a muted strawberry milk, but the artificial sweetener was too prominent to enjoy. 2 stars. The Chocolate Mint flavor was…eh. 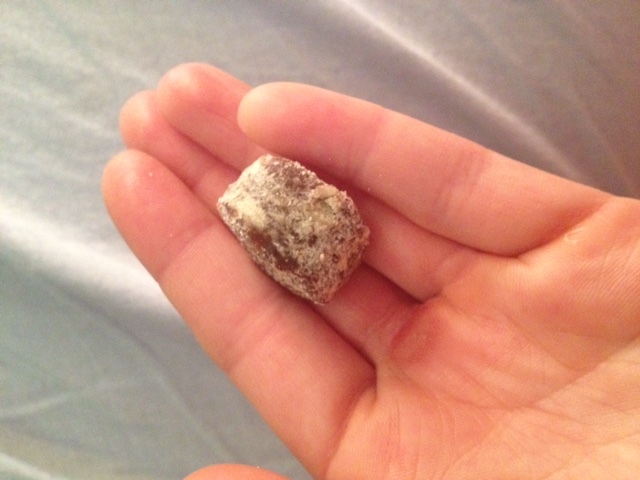 It tasted like spearmint, with very mild chocolate undertones. It was very, very mildly sweet so the flavors were sort of muted. Not a fan. 2 stars. Hexatein. I heard good things about these! These proteins are a blend of whey, casein, and egg protein for assorted absorption and digestion rates. I got these in Chocolate and Vanilla. Both flavors were on the harder side to mix without getting clumps. The Chocolate flavor tasted like cocoa powder moreso than chocolate, but did remind me of a chocolate milk. 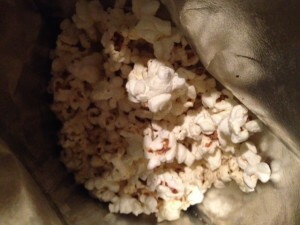 It had a creamy taste and mild sweetness, but it was a bit chalky. Not too bad. 3 1/2 stars. The Vanilla flavor reminded me of a frosting, but was not nearly as sweet (obviously). It was creamy, and had an okay vanilla flavor, however the fake sweetener aftertaste was a tad too noticeable for me. 3 stars. 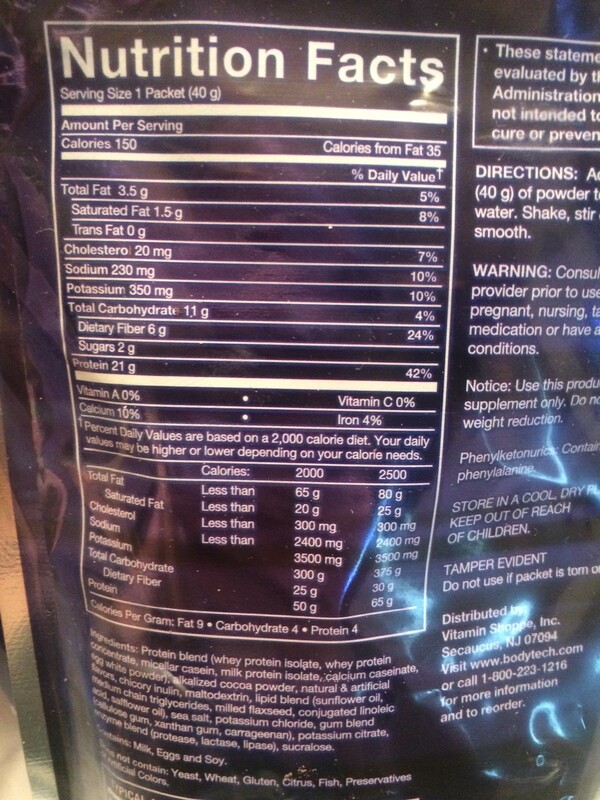 The Casein protein. 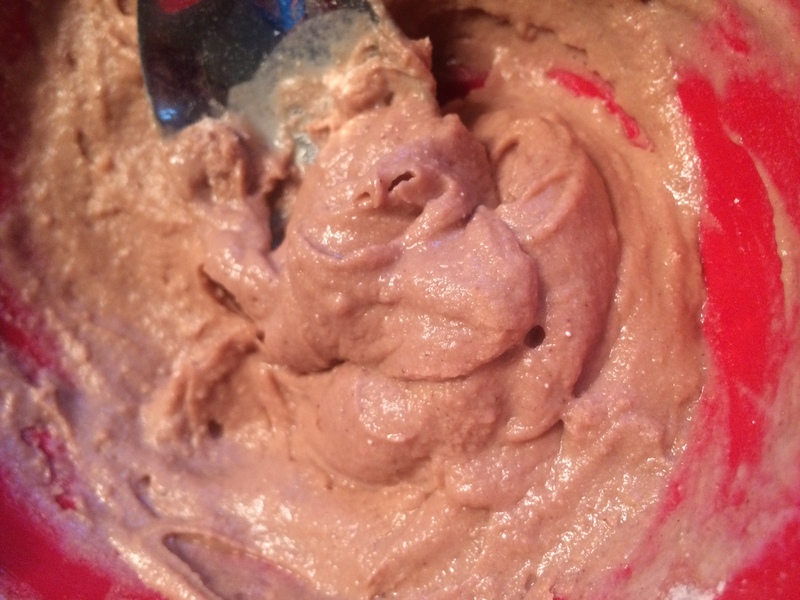 Casein is a slow digested protein, and typically consumed before bed. I got this variety in Cookies and Cream, which happens to be my favorite protein flavor usually. 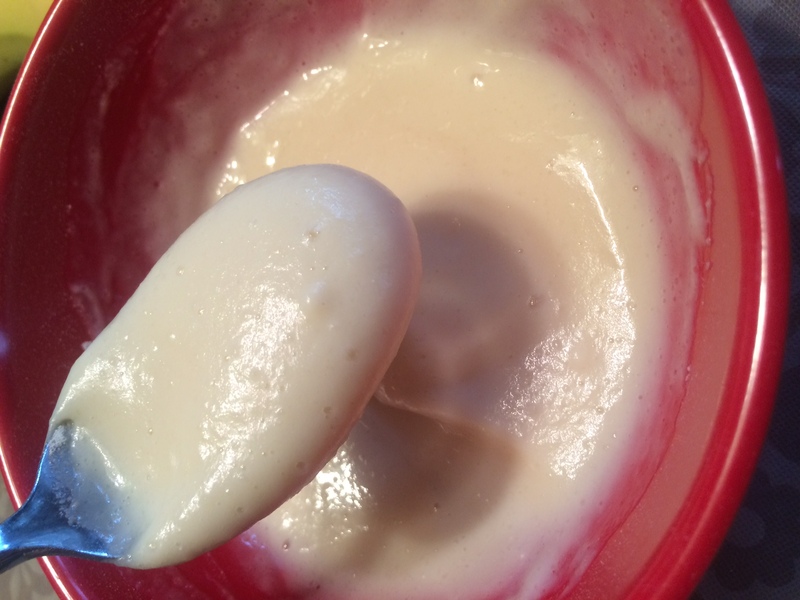 It was thick, mixed easily, creamy. 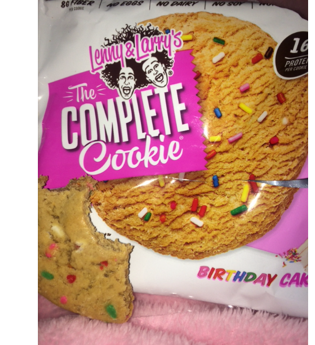 I kind of liked it because it had a mild cookie flavor, with mini pieces, but not too sweet. I don’t like overly sweet powders, they make it hard for me to drink. My favorite of all the proteins. 4 stars. Next up, The PRO PUDDING! These were mixed with 5 ounces of cold water. You have to let them sit a bit for them to set up and thicken. To be honest, I did not like either one of them. The vanilla reminded me of a sugar free vanilla jello (that you make from the box), but the flavor was lack luster, too artificial tasting, awkwardly sweet, and too much to consume with one muted flavor. 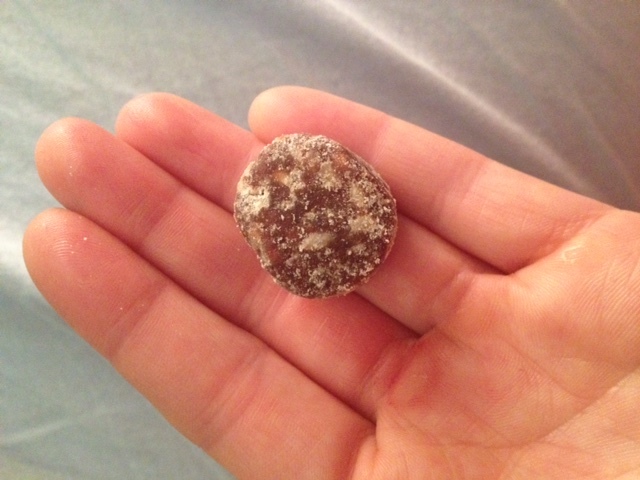 The chocolate was a little better, not too sweet, chalky, and tasted more like cocoa powder. Both were OK but need mix ins. I can see how they can be useful during dieting with some mix ins, perhaps a crunchy component, or some banana slices, but I was not a fan. 2 stars. 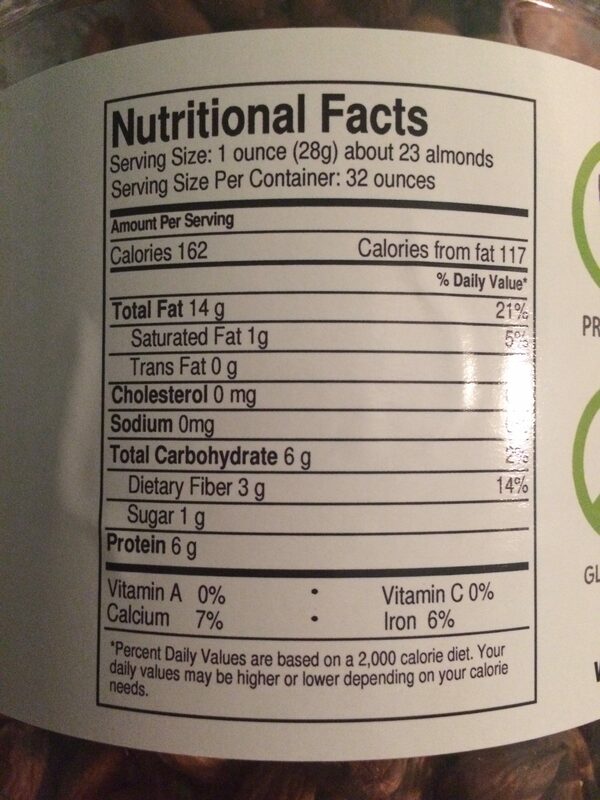 Lastly, and a product I actually purchased again for both awesome nutritional stats and flavor, the Oh Yeah! 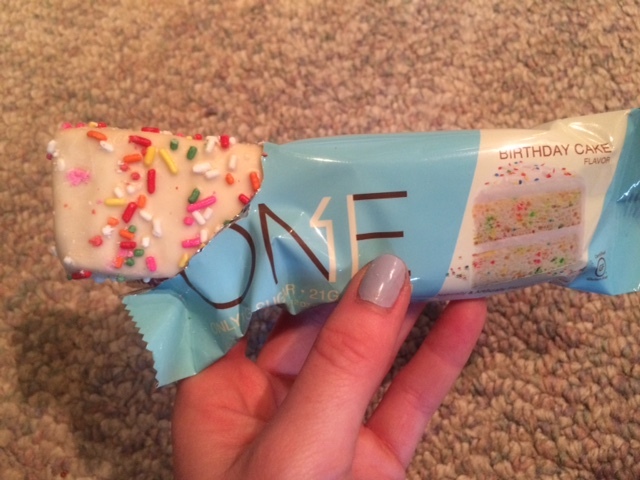 ONE protein bar in Birthday Cake flavor. 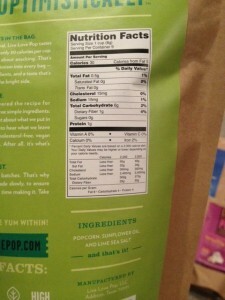 Only 1 gram of sugar with 21 grams of protein, and freaking awesome flavor. Dense, chewy, sweet, tastes like a sugar cookie meets vanilla cake. I love it, and the sprinkles on top make it feel decadent. 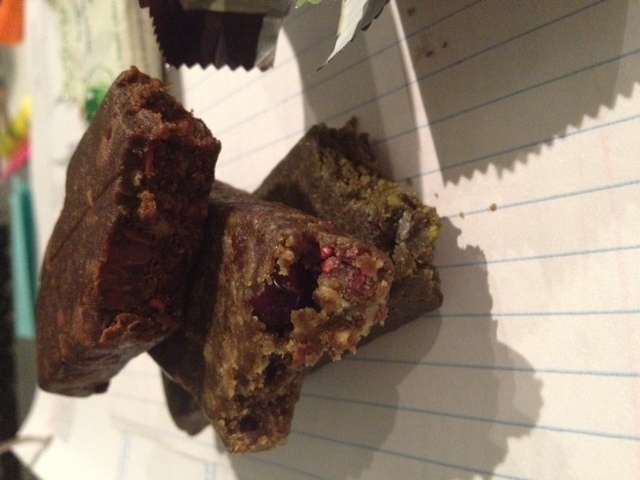 This is my new favorite protein bar! 4 1/2 stars. Overall, got some good stuff! The shirt and shaker bottle from Vitamin Shoppe added a nice touch. 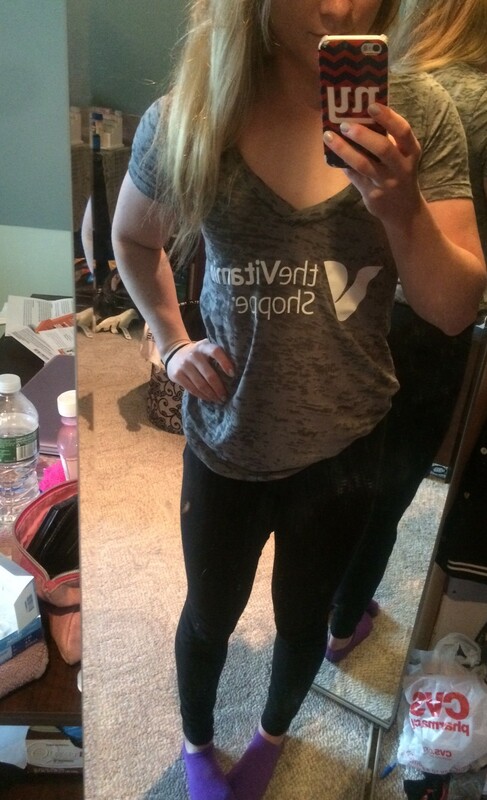 The shirt was super comfy, and fit well. The shaker cup was sturdy, and had a jack-like shaped object instead of those annoying metal wire balls that you cannot get untangled if you store them together or throw them in dishwasher, which helped mix protein. Thank you, Vitamin Shoppe, for my care package! This is an unbiased review. I received these items for free. 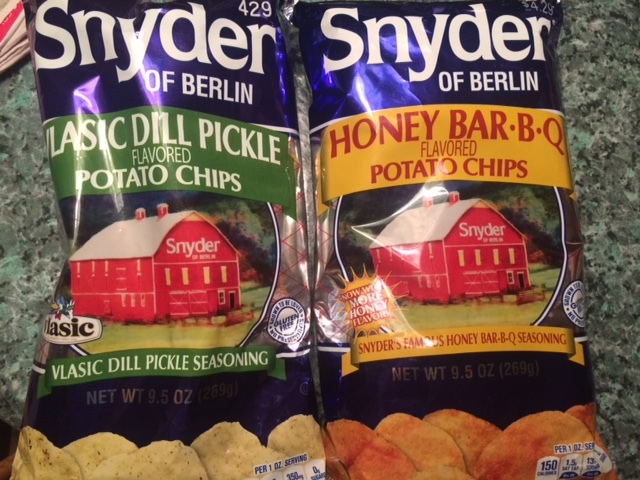 The lovely folks over at Snyder of Berlin sent me a package of some yummy potato chips! I will be honest, I am not a HUGE chip eater…not because I don’t find them delicious, but because I would rather eat a snack that will fill me up. However, BBQ flavored chips happen to be my favorite, so I certainly could not pass these up! Next up, the Vlasic Dill Pickle flavored chips! To be fair, I do not really like pickles. I pick them off my cheeseburgers, and I refuse them at diners. I think you are either a pickle person, or you are not, and I would consider myself not a pickle person. However…despite my apprehension, I can appreciate the flavor of these chips. My whole family was a bit weirded out too. My dad first refused to try any, my brother thought they would be too weird, but my mom decided to be the guinea pig and try them first. She loved them! Dad went up next…he loved them! My brother tried some…walked away…and came back for more. I guess you could say they were a hit! The vinegar flavor I found a bit strong, as it had a bit of a sour feel. They tasted almost identical to a Vlasic pickle. They were salty, crispy and crunchy. I will admit they grew on me, and I had more than I had expected (curse you, chips!!! Evil deliciousness!!!). Both of my parents decided it would be awesome on a sandwich instead of a pickle…like a deli type of sandwich. Combining my personal feelings with my family, I will give these 4 stars for a pickle person, 3 for a non pickle person. 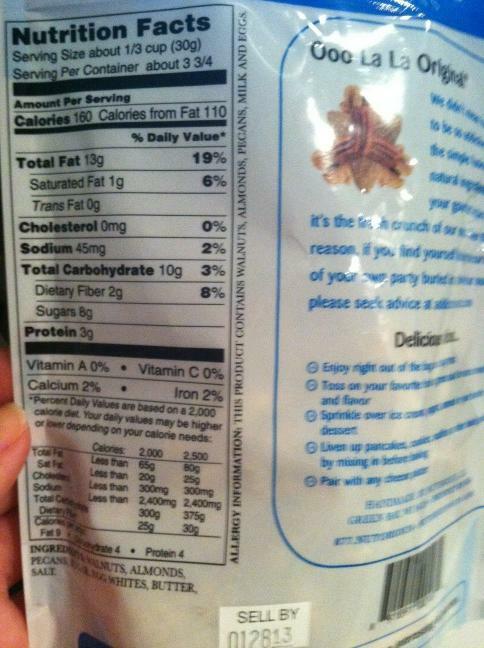 The nutritional information is listed below. Overall, I think these are worth a try! 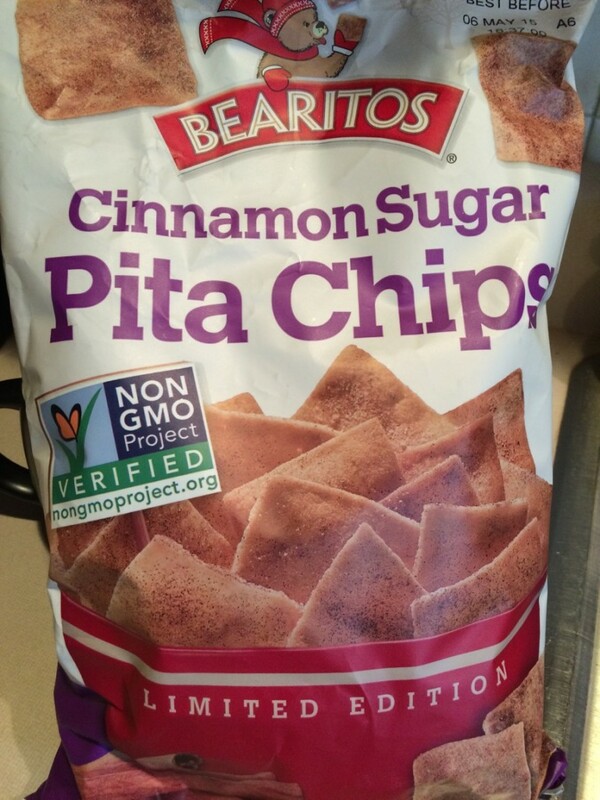 I got a free bag of the Limited Edition CinnamonSugar Pita Chips by Bearitos. These are non-GMO verified, which is always a plus. I don’t necessarily go out of my way to get non-GMO foods, but seeing a product non-GMO verified is definitely a positive! I have a love hate with Pita chips. Love them, hate the calories and carbs. 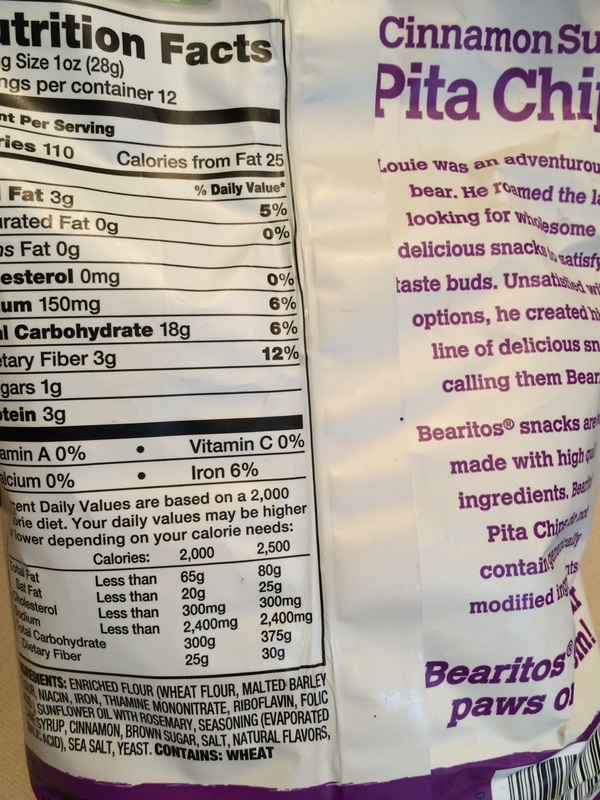 A serving size is usually like 7 chips from most brands that I’ve seen, because Pita Chips are so dense and thick. Who can only eat 7?!?! As you can see, they have some seasoning on them but do not look drenched in cinnamon or sugar, which I’ll admit, I was already a bit disappointed. BUT, I tried these with an open mind. Unfortunately, they were not as good as I hoped. They were a solid, crunchy chip, just as a pita chip should. However they were really bland. 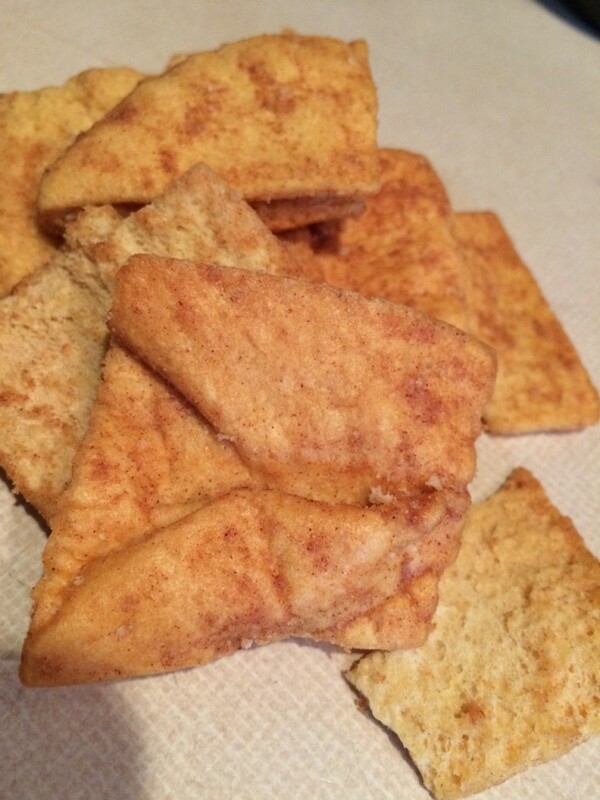 There was not a lot of cinnamon nor sugar flavor, and I had a predominant flavor of just a bland pita chip. 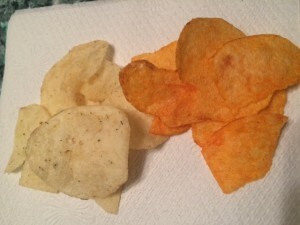 I tried a couple chips, even some that looked like they had more coating than the others, and still to no avail. The overall flavor was way too mild for me. If mild, and by mild I mean SUPER mild, is your thing, you might like these. 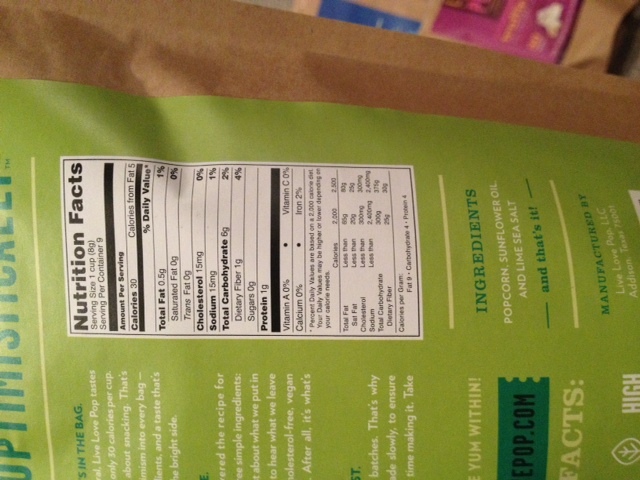 I checked the sugar content of the chips, and it only had 1 gram of sugar. I suppose this is a plus, but I probably wouldn’t buy these if I saw these in store. Too bland, and not worth it if I wanted a sweet treat. I did like the crunch these chips provided, but they just didn’t do it for me. 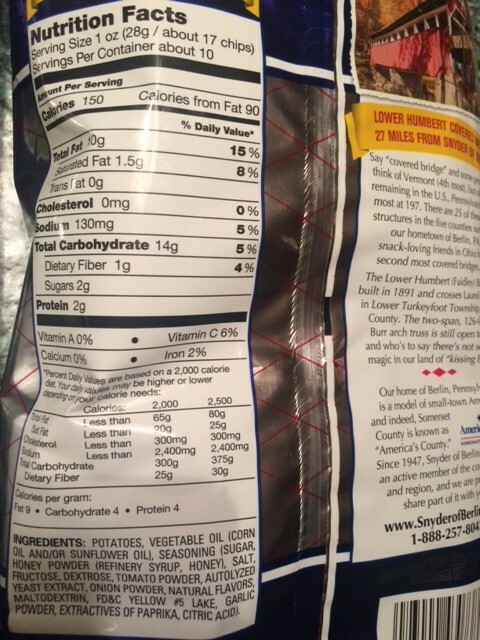 I do NOT eat a lot of sugar (I am a Diabetic), so it’s not even as if I am used to a high exposure of sugary foods- these just barely had any flavor besides wheat. Pecans are by far, my favorite nut. So when I got an email asking to review some of the “BEST. 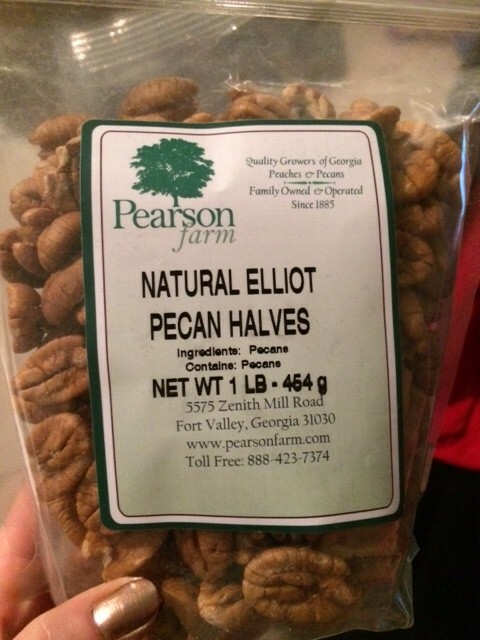 PECANS. EVER!” , you bet I was down to give them a try! However, these are fantastic! They are soft, have a slight mapley/sweet flavor to them as well, which HAS to be natural! They have no oily taste to them, and do not have a funky aftertaste to them that I find raw nuts sometimes have. 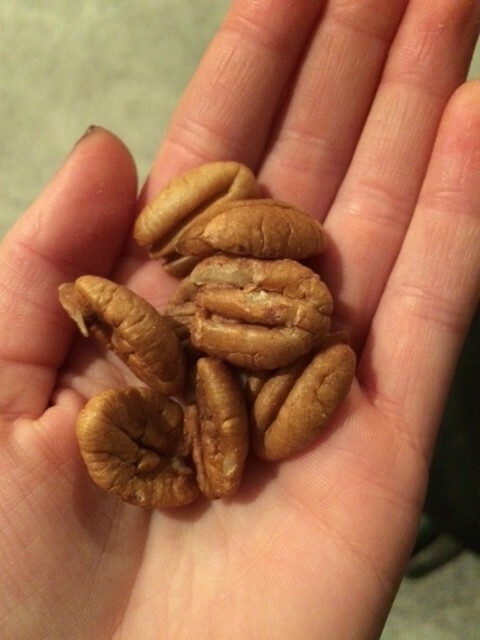 The pecans are nice and big, and just very flavorful. 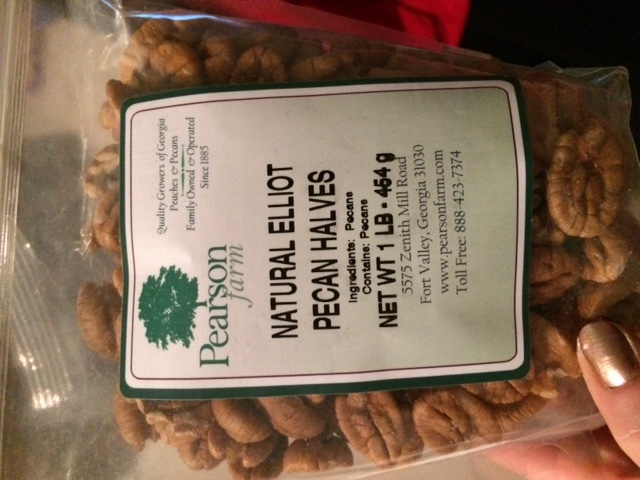 Easily the best raw pecans I have ever tried, and very yummy for a “plain” flavor. I think these would be great for baking. With holiday cooking and baking right around the corner, I think they would be excellent for making a pecan pie or a topping for cookies. However, they are delicious right out of the bag as well. 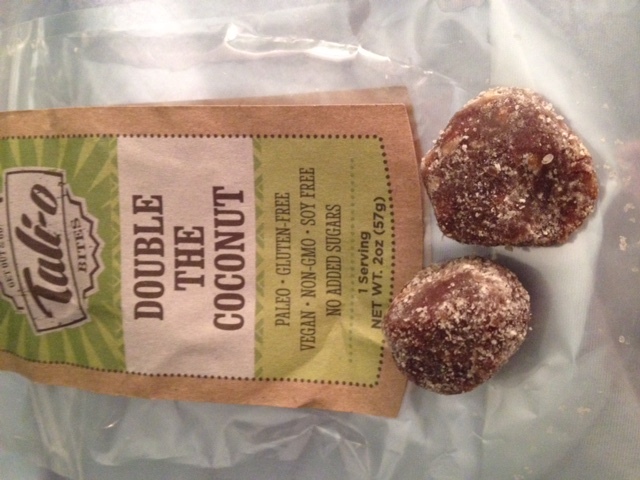 I will always be a fan of roasted over raw, but for no salt AND raw nuts, these are very good, and very flavorful. Really allows the pecan flavor to shine through. I applaud! 4 1/2 stars from me. Q- what is your favorite nut? ALSO- the winner of the giveaway for the BP monitor is Kenny! You were chosen randomly via random.org, You will be contacted soon to claim your prize. Let’s do the coconut treats first. 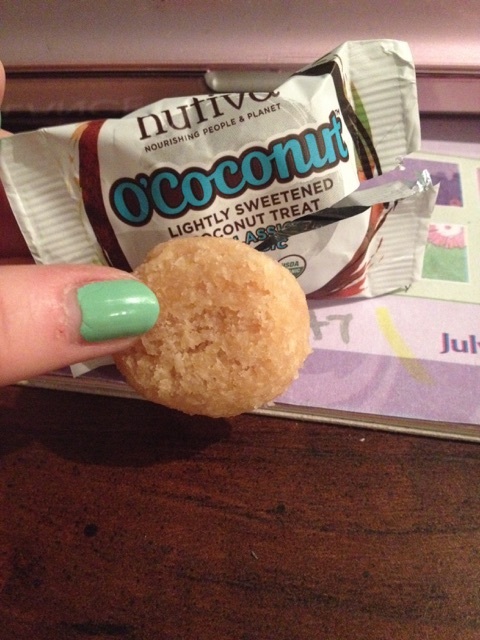 These treats were individually packaged, and teeny! About a third of the size of my palm each. 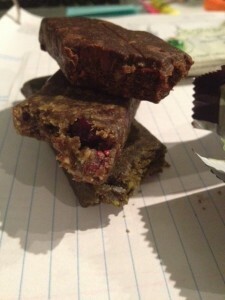 The hemp & chia coconut treat was yummy. It was lightly sweetened, but still had a nice sweet flavor to it. It reminded me of one of those macaroons you could buy at a bakery, but a lot less sweet. 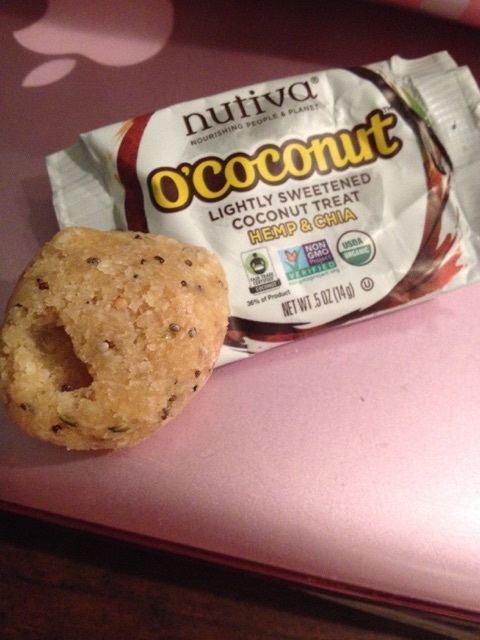 It was very soft, with a predominant coconut flavor, and a vanilla aftertaste. If you don’t enjoy piecy coconut consistency, this would not be for you! The little bite was also rather dense and chewy. 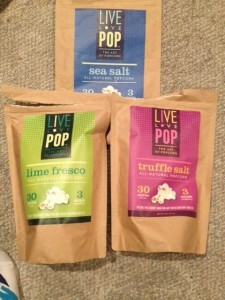 As for chia or hemp flavor? I didn’t really detect much, but I wasn’t really complaining because it was still good. 4 stars. OVERALL, enjoyable! 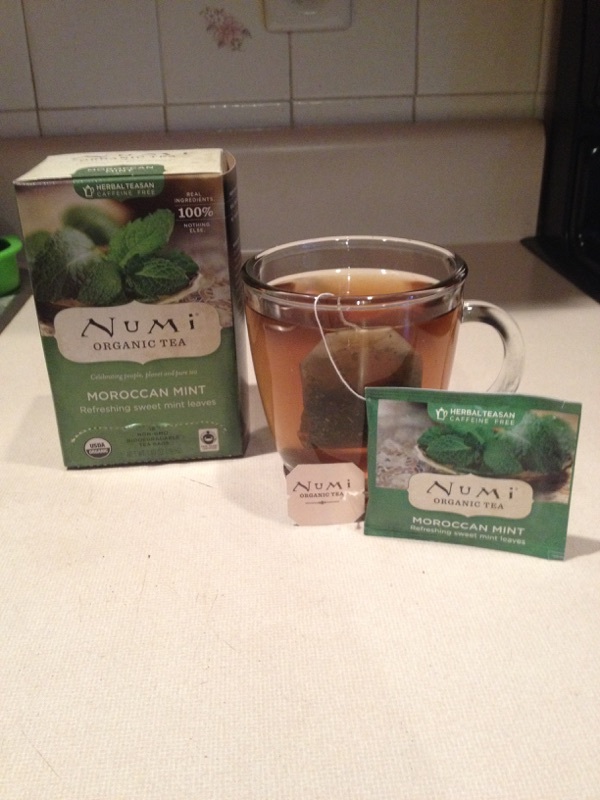 Kudos to Nutiva and Numi. 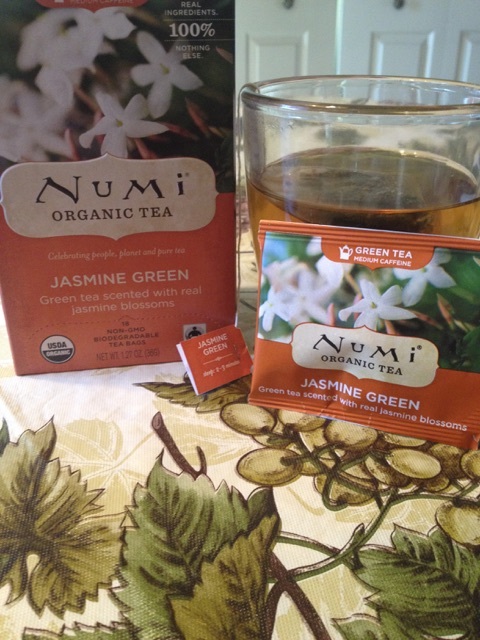 Now I have to ask, what is your favorite flavor of tea? I have a new product to review! 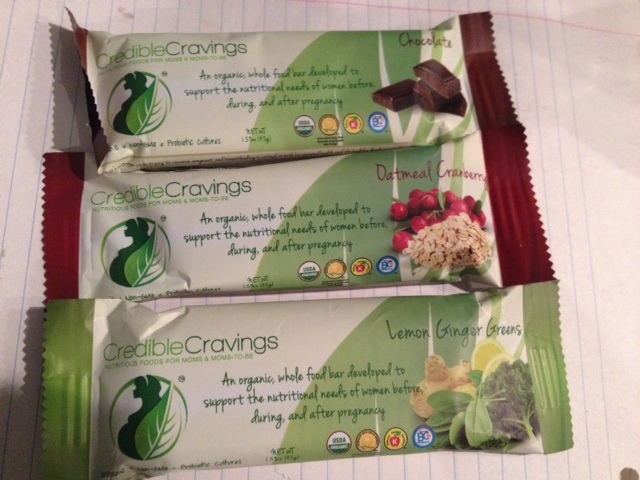 CredibleCravings sent me a few of their organic whole food bars to try. According to the label, these bars are “developed to support the nutritional needs of women before, during, and after pregnancy”. 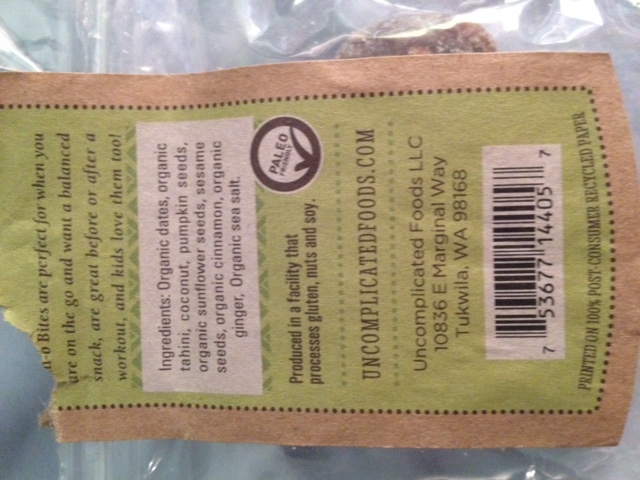 They are organic, have no GMOs, have probiotics, free of soy, and are made with no artificial sweeteners. And ALTHOUGH I am not pregnant… I could still use some whole goodness in my life! 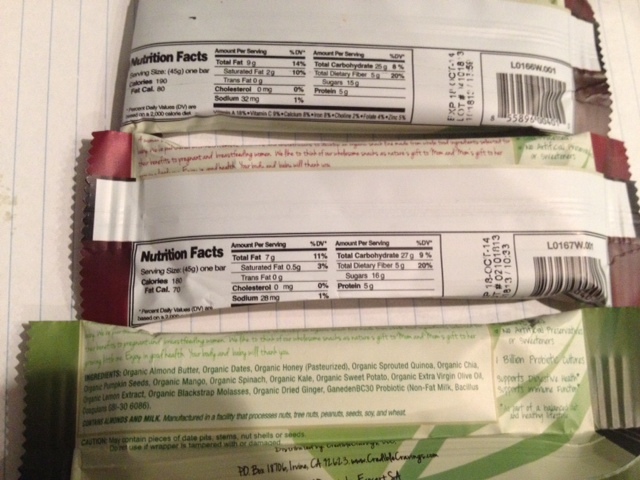 Note: I received these bars for free. This is an unbiased review. I found these browsing the grocery store in the natural foods section. 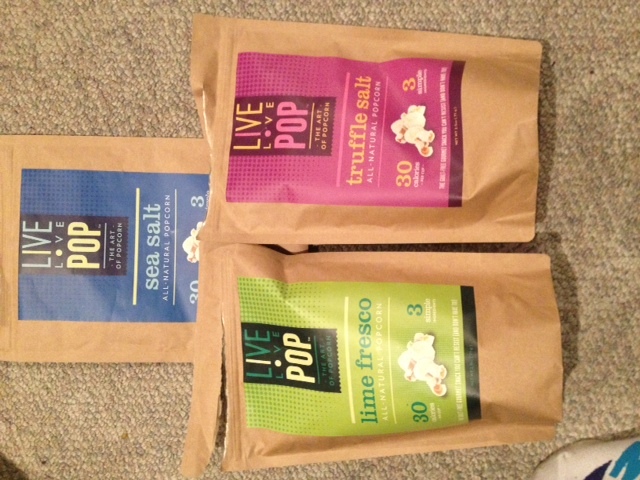 They were on there own little showcase and had 3 or 4 flavors to pick from. There was only one of the Ooo La La Original flavors left, and it sounded the tastiest to me, so I picked this one up. Opening up the bag, there weren’t a lot of nuts, but a good amount. Pecans, walnuts and almonds, all dusted and covered with what looked like a graham cracker type of outside. The taste? AMAZING! The walnuts and pecans had a soft crunch to them, and the outside was sweet but not too sweet, and definitely had a buttery taste. It reminded me of peanut brittle, because of the sweet and buttery taste, and then the nut flavor to accompany. 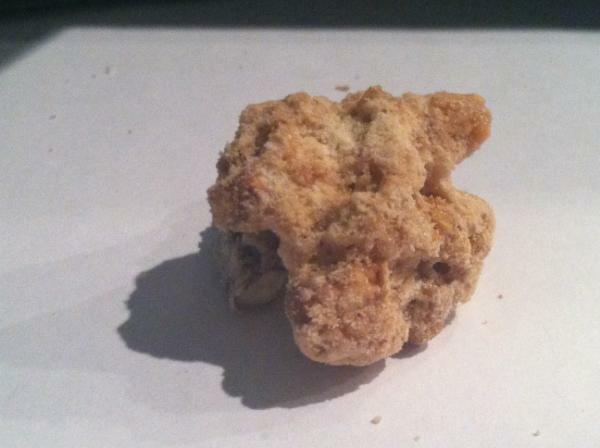 The almonds were much crunchier and not as heavily coated as the walnuts and pecans, but delicious none the less. OVERALL, 4.5 stars. 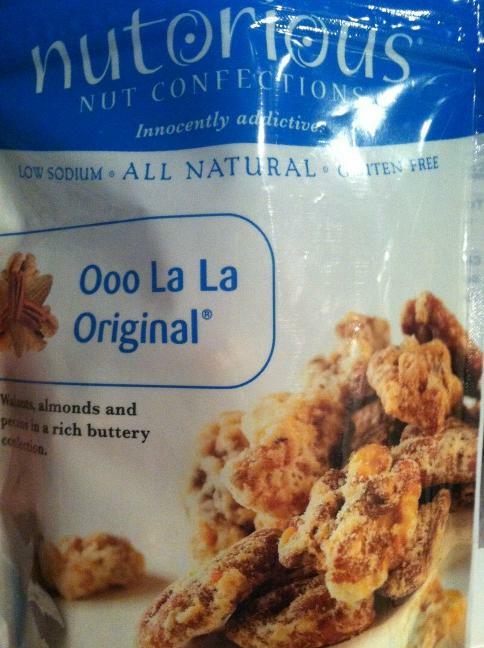 A tad high in sugar, and lower in protein than just a handful of good ol’ nuts would be, but overall a yummy snack. WILL buy again!